Please note special date: this meeting is the FIRST Monday of the month, April 3! Low water landscapes do not have to be about “going without.” Learn how to envision spaces that accomplish everything you could want from a garden. These include providing color, habitat, shade, and places for respite and celebration, that simply need less water and resources because they are composed of plants naturally adapted to our regional conditions. Examples include: the California Garden at the Huntington Library and Botanical Gardens, residential gardens, other public gardens, and inspirational images from the wilds of Southern California. Scott Kleinrock is a horticulturist, landscape designer, and garden educator focused on California native, regionally adapted, and edible landscapes. He is currently the Conservation Programs Manager at the Chino Basin Water Conservation District, a San Bernardino County agency dedicated to creating a culture of sustainable water use through demonstration and education. 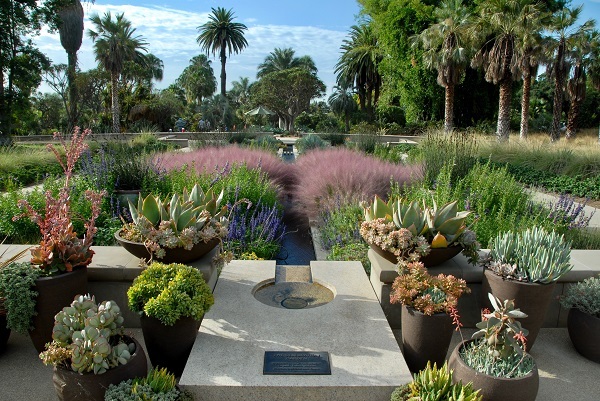 Previously he was the Landscape Design and Planning Coordinator at the Huntington Library, Art Collections, and Botanical Gardens where he led the planting design of the Brody California Garden, a 6.5 acre Mediterranean climate landscape.